The builder of the castle was Richard Le Scrope, Lord Chancellor to Richard II. Le Scrope’s ancestor, Hugh Le Scrope, held lands in north Yorkshire in the reign of King Stephen and the Scropes gradually acquired land and office. In 1333, Sir Henry Le Scrope became Chief Baron of the Exchequer, one of the senior judges in the Exchequer of Pleas, a court of equity. Continuing with the legal theme, Sir Henry’s grandson, Sir Richard, who served as knight of the shire (MP in the House of Commons) for Yorkshire, became Lord Chancellor in 1378. He was summoned to Parliament by writ, and thus became a Baron of Parliament, with the title of 1st Baron Scrope, and was referred to as ‘Lord’. Lord Scrope received a licence to crenellate – that is, to build a fortified castle, from King Richard in 1379. Lord Scrope resigned as Lord Chancellor in 1380, fortunately for him, as his successor was lynched during the Peasants’ Revolt. 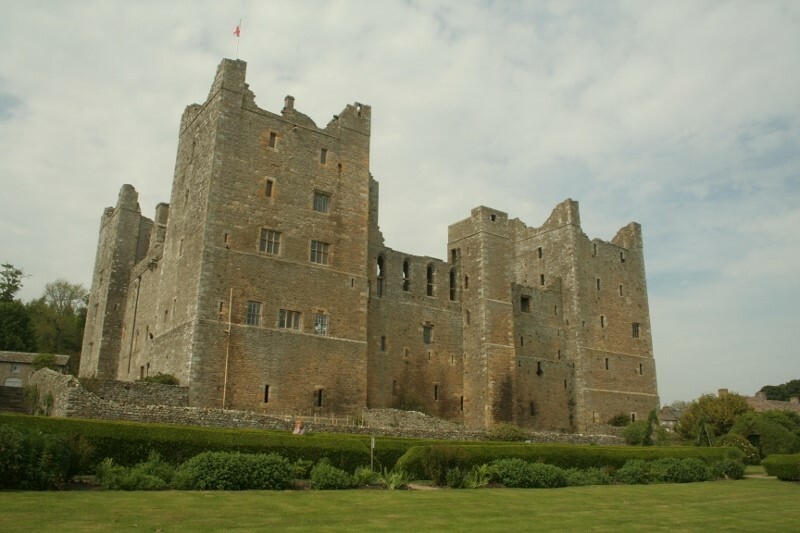 He retook the office, but was dismissed in 1382, and retired north to concentrate on the development of Bolton Castle. Lord Scrope was touchy of his honour and became involved in various legal disputes over his armorial bearings. 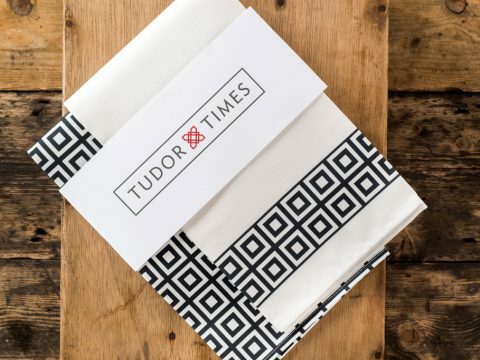 The most famous case was Scrope v. Grosvenor, in which depositions by John of Gaunt, Duke of Lancaster, Owain Glyndwr and Geoffrey Chaucer supported Scrope’s claim to bear the arms of ‘azure, a bend or’. Scrope won the case. Lord Scrope has been suggested as the model for Chaucer’s Knight in the Canterbury Tales. Scrope retained his lands following the deposition of Richard II, although his eldest son, Sir William, who was Richard II’s Lord Treasurer, was executed by Henry IV for supporting the deposed king. The Scropes then descend in an extremely complex family tree that is entangled with every other noble and gentry family in England. 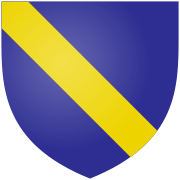 Richard, 3rd Lord Scrope of Bolton fought at Agincourt, and married Margaret Neville, daughter of Ralph, Earl of Westmoreland and sister of Cicely Neville, Duchess of York. Their son, Henry, 4th Baron, supported his aunt’s husband, Richard, Duke of York in the early days of the Wars of the Roses. The 5th Baron, John, was also a Yorkist, and a supporter of Richard III. He became embroiled in the Lambert Simnel revolt against Henry VII, but was pardoned on condition he remained within about 20 miles of London, under the King’s eye. 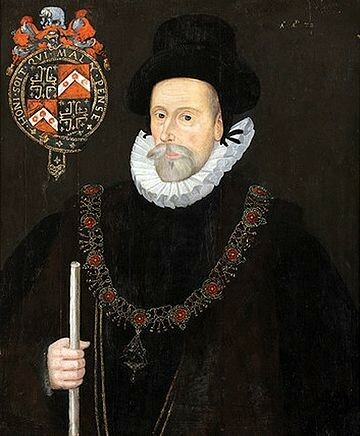 The leniency may have been due to the fact that his second wife, Elizabeth St John, was Henry’s half-aunt. The 7th Baron, another Sir Henry, negotiated with Maud Parr (nee Green) for the marriage of her daughter, Katherine, to his grandson, John. The marriage did not take place (read more detail here) and Katherine went on to be the sixth wife of Henry VIII.The man who might have been Katherine’s father-in-law, John, 8th Baron Scrope, became a participant in the Pilgrimage of Grace (read more on that here, including a letter from his wife, Katherine Clifford to her father, the Earl of Cumberland). The King’s men set fire to Bolton Castle in reprisal, but Lord Scrope did not suffer further punishment, and sat in the 1552 Parliament. 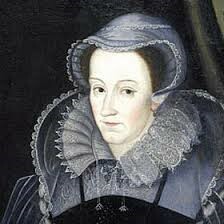 In 1568 Bolton played a major part in Anglo-Scots history when Mary, Queen of Scots was taken there after she fled the defeat at Langside. Queen Mary had first arrived at Carlisle, and Sir Francis Knollys and Henry, 9th Baron Scrope of Bolton were sent there to take charge of her. On 13th July 1568 she was brought, protesting strongly, to Bolton where she remained until January of 1569 before being taken further south. It was during Mary’s stay at Bolton that the Commission of Enquiry was held at York which purported to investigate any involvement the Queen might have had with the death of her husband, Lord Darnley (or Henry, King of Scots, as he was called). During Mary’s period of incarceration at Bolton, she was treated honourably, within the limitations of loss of liberty. She had a large retinue, of which thirty men and six ladies-in-waiting were permitted to stay in the castle itself, the others having to find their own lodgings. Among her staff were cooks, grooms, an embroiderer (Mary’s favourite indoor pastime was embroidery), her apothecary and her physician. One of the ladies-in-waiting permitted to join her was Mary Seton, one of the ‘four Maries’ who had been her companions since childhood. Sir Francis occupied himself in teaching Mary to read and write in English (her mother tongue was Scots, and her preferred language was the French she had spoken since the age of 5). Whilst Mary found this study profitable, she was a great deal less interested in the Puritan preaching that Sir Francis also indulged in, although there was no religious bigotry in Mary and she was prepared to read the Prayer Book in English. Lord Scrope and Sir Francis were soon in trouble for permitting the Queen to consort with ‘Papists.’ The Reformation had not taken deep root in North Yorkshire, and there were plenty of ‘Papists’ eager to wait upon her. One lady not permitted to consort with Queen Mary was Lady Scrope. Born Margaret Howard, Lady Scrope was the sister of Thomas Howard, 4th Duke of Norfolk, who was considered to be too favourable to Mary’s cause (and indeed was later executed for planning to marry her). Following Mary’s departure, Bolton Castle continued to be inhabited by Barons Scrope until in 1630, the 11th Baron, Emmanuel, died without legitimate heirs. The castle passed to his son John, who, despite being only 22, held it for King Charles against Parliament in a siege in 1644 which lasted until the garrison was starved out, having eaten the horses. The castle was ‘slighted’ but much of it remained habitable. John Scrope died of plague the following year, and the castle passed to his sister Mary. Mary Scrope married Charles Powlett, 6th Marquess of Winchester, and 1st Duke of Bolton. In 1675 the castle was abandoned for the more modern Bolton Hall, and gradually fell into disrepair. Bolton again passed to an illegitimate child, Mary, daughter of Charles 5th Duke of Bolton. Her husband, who added the name ‘Powlett’ to his own name of ‘Orde’ was created 1st Lord Bolton in 1777. The castle remains in the Orde-Powlett family, which undertook major renovations in the 1990s.